"The shuttles were a great addition to the other hotel servic..."
Have a question for Furano Hops Hotel? "Despite all these, their front desk and the duty manager is extremely friendly and nice." "Staff were friendly and polite." "Room was nice and clean and bed very comfortable." "Very clean and big room,"
Nestled in the heart of Kamifurano, Furano Hops Hotel is an ideal spot from which to discover Furano / Biei. The excitement of the city center is only away. No less exceptional is the hotel's easy access to the city's myriad attractions and landmarks, such as Kamifurano Hospital, Goto Sumio Musium, Flower Land Kamifurano. Offering hotel guests superior services and a broad range of amenities, Furano Hops Hotel is committed to ensuring that your stay is as comfortable as possible. The hotel offers access to a vast array of services, including free Wi-Fi in all rooms, Wi-Fi in public areas, car park, room service, family room. The ambiance of Furano Hops Hotel is reflected in every guestroom. television LCD/plasma screen, air conditioning, heating, desk, telephone are just some of the facilities that can be found throughout the property. Besides, the hotel's host of recreational offerings ensures you have plenty to do during your stay. 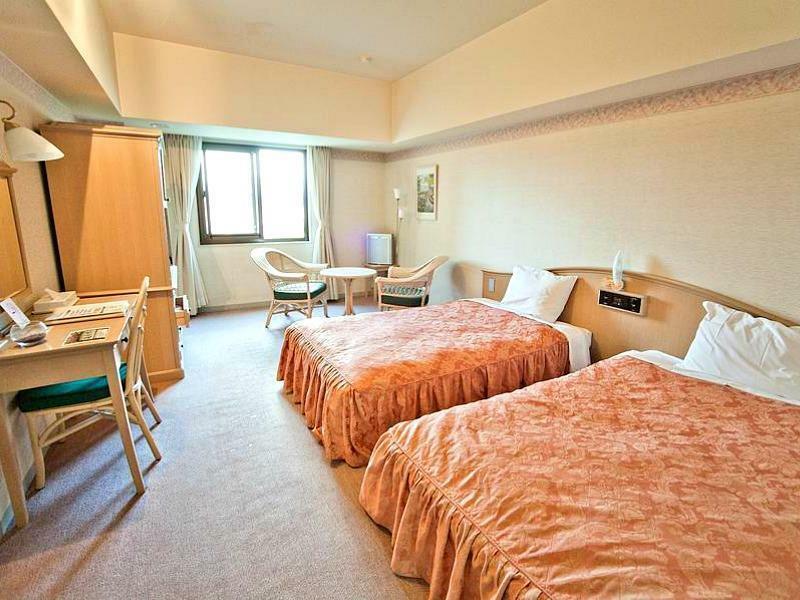 With an ideal location and facilities to match, Furano Hops Hotel hits the spot in many ways. "Nice service, quiet, not as new as imagine but it's perfect..."
The property provides a complimentary shuttle service from Kamifurano Station. Departure from the property at 09:00 AM and pick-up from ski resort at 04:30 PM. Advance reservation is required. Located on small hill with nice mountain view. Super spacious room with two twin bed combined can fit in 2 adults and 2 young kids. Comfy stay as the room provided with a small living area and bathtub. Just a bit dust came out under the bed. Definitely would recommend this hotel. then definitely check out this hotel. 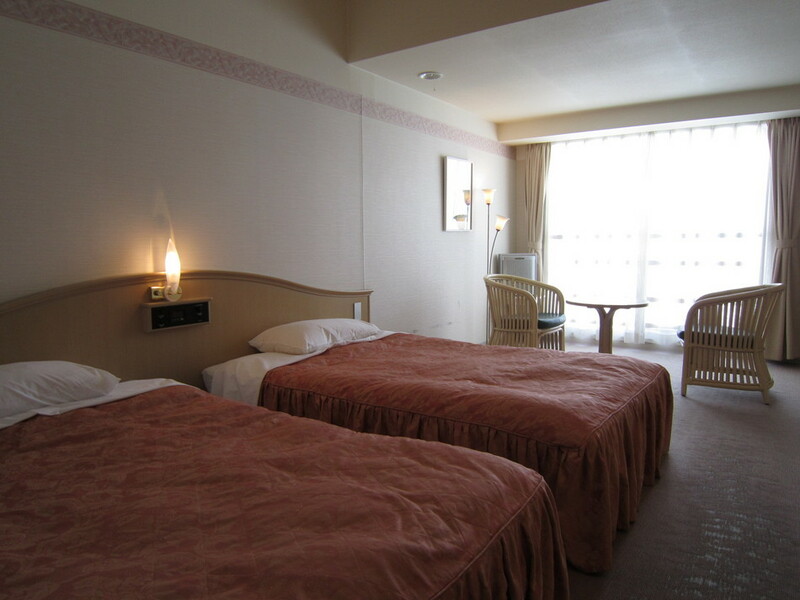 The hotel is not new, but it is clean enough that we felt comfortable. Room is huge, the surrounding is calm, it felt really comfortable staying in this hotel. Breakfast is good! Because I arrived around 4:30pm (sky almost dark), it looks really creepy and desserted - maybe it was off peak and week day. Like those haunted mansion (lol). Room is quite old and they still have VCR and very small LCD screen (guess 80s). They do serve breakfast and dinner but only few choices - taste wise is not bad. Despite all these, their front desk and the duty manager is extremely friendly and nice. Had a great chat with them and given me good advises while traveling around Japan. The rooms are big can accommodate 3 adults. Need to have transport as the hotel is not a walking distance to convenient stores and other attraction. Staff is very friendly and accommodating to all request. Location not bad, view from the hotel room is good, can see some of the lavender fields. Room is smelly. I regretted booking with dinner and breakfast included. There is only 3 or 4 menu to choose for dinner and the set is worth about 1000yen only. Breakfast also pre prepare and serve in tray each person only can have 1 serving. I will rate it only a 2.5/5 for both dinner and breakfast. I feel like being cheated with the price that I am being charged. This hotel cost double compare with the one I stay in May2018 at Lake Akan where they really serve dinner set with many varieties of sashimi, beef, bento, tempura, salads, cawanmushi +. This hotel isn’t worth even only if its room charges! 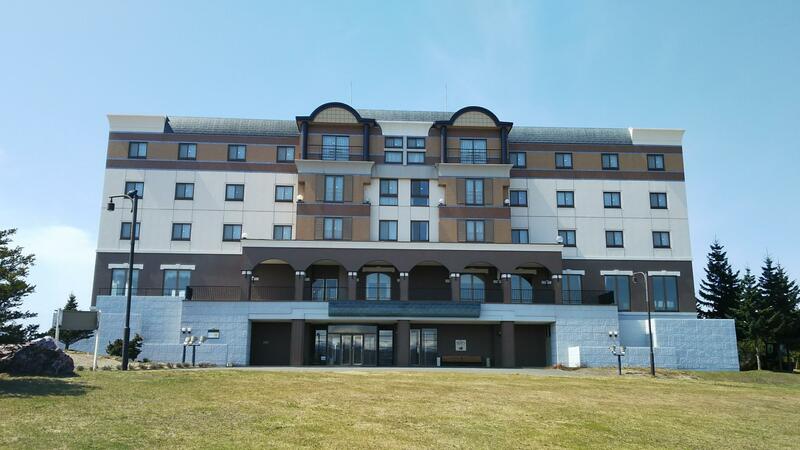 The worst hotel I stayed in for my May2018 and July2018 Hokkaido trip! You will need a car to get to the hotel. There is nothing near the hotel, no shops, no nothing. Basically just a place for you to spend the night. Room is rather dated. Simple breakfast. For the price paid, this is still acceptable. We chose the triple room. The room is huge and we like the bathtub area which is separated from the wash basin area by a glass door. The hotel is located on a little hill, and you can see the vast farm view from room window. 1. not a bad stay in Furano 2. great views 3. dinner was quite good. We had a great time! The shuttles were a great addition to the other hotel services. Late check in and been given last room. Room is big but gloomy feeling. Hotel is very clean and spacious for a Japan hotel! Location is convenient if you are driving as it rather near to many places of interest! Great view too from our room! A rather old hotel. It has easy parking near the Entrance. The Gentlemen at the Front Desk were all very helpful. Room was Big . It overlooks to the Mountains. Furnitures were obviously dated. You need a car to drive to the nearest shops or eateries. If it is just for overnight stay, I suppose It would be adequate. It was near enough to amenities and staff was very friendly and helpful to our questions. Good value for a decent location. Hotel is basic for overnight stay. There is no onsen, and room is slightly dusty and dated. Hotel a bit old but clean & very big rooms. Staff don't speak much english but try their best to fulfill all our request. big room , big traditional Japanese toilet , clean . stay this hotel , you must have own transportation .